April | 2012 | boredinSA "entertain yourself..."
Despite the media circus and public embarrassment surrounding Kim Kardashian’s 72-day marriage to New Jersey Nets player Kris Humphries, the Kardashian clan is not shying away from the cameras. In fact, TMZreports that the family recently signed on for three more seasons of their popular E! reality TV series, Keeping Up with the Kardashians, for a whopping $40 million. Experts are saying that this is the priciest deal ever struck for a reality show. According to TMZ, sisters Kim, Khloe and Kourtney along with their mother Kris and her husband Bruce Jennerwill reap the biggest paychecks, while secondary yet prominent family members will receive slightly less. Basketball star and husband to Khloe Kardashian, Lamar Odom is said to have struck a separate deal to appear on both Keeping Up with the Kardashians and the spinoff series, Khloe and Lamar. The blockbuster deal is said to only include existing shows on the E! network, and future spinoffs would require a new contract and likely even more money. The sixth season, which featured the dissolution of Kim’s marriage, averaged over three million viewers. The new season is set to air Sunday May 20th. 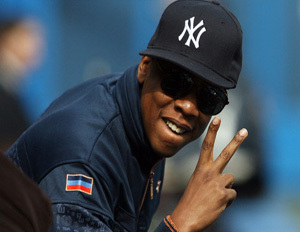 Music mogul and entrepreneur Shawn “Jay-Z” Carter continues to extend his brand in innovative ways. After conquering fashion (Rocawear), music (Roc-A-Fella Records), real estate (40/40 Club) and sports (New Jersey Nets), among other mediums, he is currently developing a Facebook game called Empire. Recently released in beta format on the social media platform, the game allows users to play out a rags-to-riches story as a character, whose life mirrors Carter’s own rise from the Marcy Housing Projects in Brooklyn, NY to a glamorous life of fame and fortune. While Empire is still being finalized, Facebook users can get updates on the game’s developments via itsFacebook page. Can’t knock the hustle. 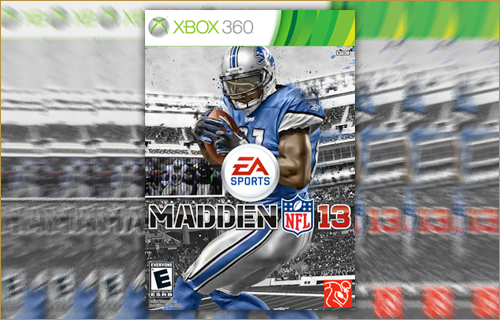 Despite Cam Newton’s best efforts, Megatron pulled in 52% of the votes and will be featured on the 2013 edition of Madden. via My Car – Slim Thug ft. Doughbeezy & Kirko Bangz (Official Music Video) – YouTube. Beyoncé has won countless awards, and now she has a new honor to add to her résumé. The pop superstar, wife, and mother has been crowned the World’s Most Beautiful Woman by People magazine. She showed off her post-baby body in a photo shoot with famed photographer Jean-Baptiste Mondino. “It’s really about who you are, the human being, that makes you beautiful,” said B, who named her mother as the most beautiful woman in the world. Other women making this year’s list include Mariah Carey, Jennifer Hudson, First Lady Michelle Obama, and Selena Gomez. via Jill Scott – Blessed (Official Video) – YouTube. via Melanie Fiona – Watch Me Work – YouTube.